Yom Kippur the most solemn of Jewish festivals, begins tonight. Here's a spirited rendition by the Mediterranean Andalusian Orchestra of the piyut which closes the Yom Kippur service, El Nora Alila. Wishing all those who are fasting Gmar Hatima Tova. Ha-m'tzi lanu m'chilah, bi-sh'at ha-ne'ilah. ve-chot'mem l'hod u-l'gila, bi-sh'at ha-ne'ilah. Oseh ba-hem p'lila, bi-sh'at ha-ne'ilah. Bas'ru na ha-g'ulah, bi-sh'at ha-ne'ilah. Grant us pardon in this hour, As Thy gates are closed this night. Trembling, fearful in our prayer, As Thy gates are closed this night. Shall be one of pardoned sin, As Thy gates are closed this night. Seal our destiny for joy, As Thy gates are closed this night. And oppress, be Thou the judge, As Thy gates are closed this night. Generations of our sires Strong in faith walked in Thy light. As of old, renew our days, As Thy gates are closed this night. Gather Judah's scattered flock Unto Zion's rebuilt site. Bless this year with grace divine, As Thy are closed this night. In the many years to come, As Thy gates are closed this night. With Elijah, come, redeem, As Thy gates are closed this night. An Israeli parliamentarian has called for the Iraqi-Jewish archives to be sent to the Babylonian Jewry Heritage Center at Or Yehuda, Israel. 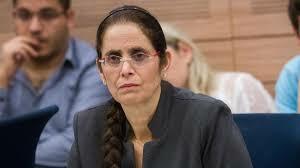 Knesset member Dr. Anat Berko sent a letter to Prime Minister Netanyahu and the Minister of Foreign Affairs, demanding that the Iraqi-Jewish archives not be returned to Iraq. The move comes after the US State Department had confirmed that the Iraqi-Jewish archives would go back to Iraq about a year from now. In 2003, the National Archives and Records administration had signed an agreement with the CPA, then Iraq's government, promising that the waterlogged trove, seized from Jewish individuals and institutions and found in the basement of the Iraqi secret police headquarters, would go back to Iraq after restoration. In her letter, MK Berko, who is playing an active part campaigning for Jewish refugees from Arab countries, describes how her parents had to escape from Iraq as refugees, after they were stripped of their Iraqi citizenship and left destitute. She asks Netanyahu to put pressure on the American authorities to revoke their promise to return the Archives to Iraq. She demands that the archives be returned where they belong, to the Babylonian Museum in Israel. A copy of the letter was also sent to the Ministry of Education and to the Ministry of Religious Affairs. The explosion occurred three weeks before the Jewish holiday of Lag b’Omer, when hundreds of tourists, including some from Israel, gather at the El Ghriba for a pilgrimage that is particularly popular among Jews of Tunisian descent. NEW YORK — Although Oded Halahmy left Iraq in 1951, Iraq has never left him. Halahmy was 13 when he, his parents, his siblings as well as hundreds of other relatives left for Israel. Now, as his generation ages, first-person stories like Halahmy’s are slipping into the shadows of history. “These are the very last years to capture firsthand accounts of Jewish life in Iraq. There will be no witnesses left and so there is an urgency to get the stories. It’s a last grasp. Mizrahi Jews account for half the world’s Jewry, yet their stories remain virtually untold,” said Tamar Morad, a writer and editor living in Israel. That’s where The Iraqi Jewish Voices Project, IJVP, comes in. 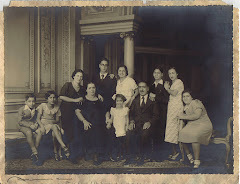 Using black and white portraits, interviews, and scanned historical documents, the multi-media project records the stories of the last Jews of Iraq and what it was like for them to immigrate to Israel, France, the United States and beyond. The project aims to shift the meta-narrative of world Jewry in the 20th Century, which has almost always revolved around the history of European Jewry. The bold initiative might just be the thread that stitches the Jews of the Mideast’s past to the future. Morad, who grew up in Boston, is of Ashkenazi descent. Her husband’s family came from Iraq. In no time she realized the more she asked her father-in-law, as well as her husband’s 105-year-old grandfather, about what life was like in Iraq before they left, the more she wanted to know. Morad co-manages the project with Henry Green, executive director of the NGO Sephardi Voices, and professor of Judaic and Religious Studies at the University of Miami. Morad is basing the project on the book, “Iraq’s Last Jews: Stories of Daily Life, Upheaval, and Escape from Modern Babylon” — an oral history collection co-edited by Morad with Dennis and Robert Shasha — and plans to revisit and expand on some of the people and places featured in it. 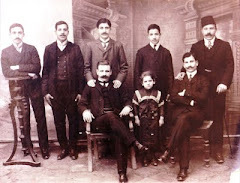 The Iraqi Jewish Voices Project comes under the auspices of the nonprofit Sephardi Voices (SV), which aims to collect thousands of interviews of Jews who lived in Arab and Muslim lands. It wants to do for the Jews of Arab lands what the Shoah Foundation did for Holocaust survivors in collecting and preserving their testimony about life before, during and after World War II, Green said. In the modern era, Kurdish Jews departed en masse for Israel when the Jewish state was created in 1948, leaving Kurdish civil society so bereft that some recall its leaders still lamenting the Jewish exodus decades later. Ties between the two have only grown warmer and more vital since the 1960s, as Israel and the Kurds — both minorities in an inhospitable region and ever in need of international allies — have repeatedly come to each other’s aid. 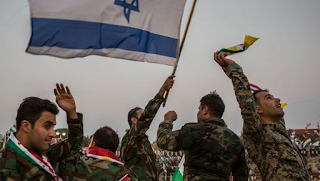 The Kurds have long patterned their lobbying efforts in Washington on those of Israel’s supporters. And while Kurdish leaders have not publicly embraced Israel in the run-up to the referendum, for fear of antagonizing the Arab world, the Israeli flag can routinely be seen at Kurdish rallies in Erbil and across Europe. The Kurds in turn have friends and supporters all across Israel, including some 200,000 Kurdish Jews. But 83-year-old Tzuri Sagi, a retired brigadier general, has more reason than most Israelis to root for Kurdish independence. 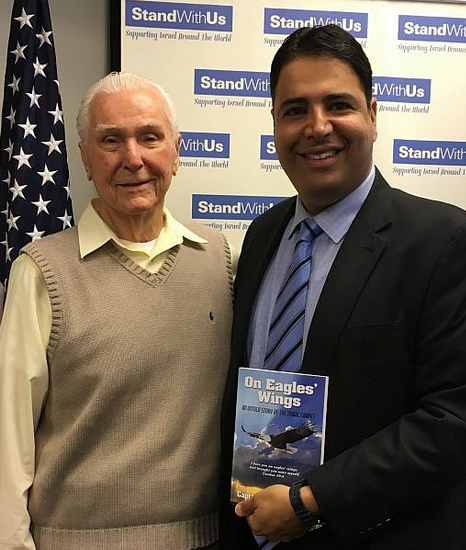 “I became a patriotic Kurd,” says Mr. Sagi, now 83 and a retired brigadier general, who worked as an Israeli military adviser to Kurdish fighters. In the winter of 1966, Mr. Sagi’s commanders sent him on a secret mission, via Israel’s then-ally, Iran, to aid Mullah Mustafa Barzani and his pesh merga rebels in Iraqi Kurdistan. Six Iraqi army brigades were standing by to overwhelm the Kurds when the snow melted. Mr. Sagi, a lieutenant colonel, drew up defenses for Barzani’s lightly armed fighters. When those collapsed, Mr. Sagi advised the Kurds to allow the best of the Iraqi brigades to break out — right into an ambush. The 5,000-man Iraqi brigade was wiped out, and the battle, on Mount Handrin, became a landmark in Kurdish history. Mr. Sagi recalls Iraqi officers driving up in two jeeps waving white flags. “They said to the Kurds, ‘What do you want?’” he recalled. Over the years, Israeli doctors set up a field hospital for the Kurds, its soldiers trained the pesh merga fighters and the Mossad helped arm them. After Israel’s defeat of its Arab neighbors in 1967 and the Baathist coup in Iraq a year later, Iraq became inhospitable to its dwindling Jewish population. Then it was the Barzanis’ turn to help. After nine Jews were hanged in Baghdad’s Tahrir Square in 1969, Iraqi Jews were desperate to flee. The Kurds helped some 1,000 of them escape, over land to Iran and then by plane to Israel. “They were going on donkeys, through the mountains,” said Ofra Bengio, a pre-eminent historian of the Kurds and professor emerita at Tel Aviv University’s Moshe Dayan Center. One of the escapees was Zamir Shemtov, 63, now a dentist in Herzliya, who was a teenager in 1970 when his parents and extended family made their first attempt to flee Iraq. Arrested and locked up for a month, they tried again, but this time they were blackmailed, robbed, caught by the army and sent back to Baghdad, where his father was brutally interrogated, Mr. Shemtov said. Released two months later, they tried to get out a third time. This time, a Kurdish taxi driver ushered them to a safe meeting point where a young uniformed Kurdish fighter loaded them in his jeep and ferried them across the border into Iran. Mr. Shemtov said that near the end of the drive, his father offered the fighter his gold watch in gratitude. Born Sami Muallem in 1932 in Baghdad's upmarket district of Bataween, Professor Moreh was a well-respected academic (as chairman of the Association of Academics from Iraq in Israel, he presided over the publication of countless books), who excelled in his command of the Arabic language. Immigrating to Israel with his family in 1951, he received his B.A. and M.A. from The Hebrew University in Arabic literature and Islamic Studies and his Ph.D. in modern Arabic poetry (SOAS,London University) in 1965. He was a poet and a prolific author of over 20 publications in English, Hebrew and Arabic. 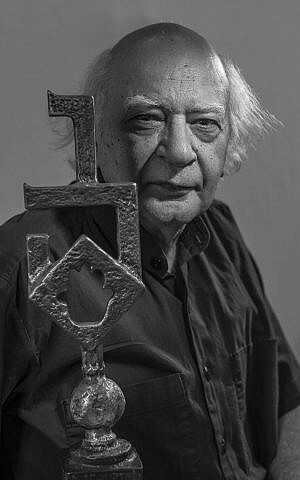 His memoirs were serialised in the online Arabic medium Elaph in 2009 -10 and awakened huge interest among Iraqis in their lost Jewish community. 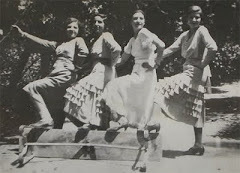 The series was later published in Arabic as Baghdad Mon Amour. At the same time as he served as a bridge between Israelis and Arabs, Professor Moreh made sure not to sugarcoat the persecutions suffered by Iraq's Jews. Moreh was a survivor of the Farhud pogrom, in which at least 179 Jews were killed, and wrote vividly of his experiences. 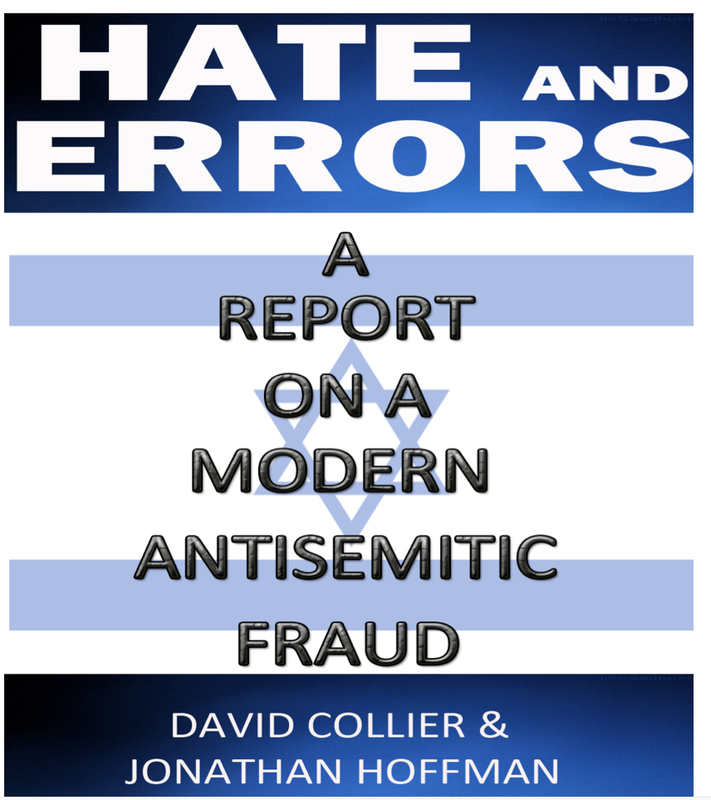 In 2010 he published in English, with Zvi Yehuda, a ground-breaking collection of essays about the Farhud, and was in the forefront of the campaign to have the pogrom recognised as a Holocaust event. Among his lesser-known talents was boxing, a skill he refined at his primary school when confronted with taunting and bullying from the other boys. The tensions in the lead-up to the Farhud led him, aged eight, into fights with Faisal, the son of the pro-Nazi prime minister of Iraq, Rashid Ali al-Gaylani. When the boy threatened to knock his eye out with a stick, Shmuel punched Faisal and the boy went running to their Christian headmistress. He was a proud Israeli, and yet confessed to not feeling entirely at home until he received the Israel Prize for Middle Eastern Studies in 1999. In his latter years he was an advocate for the rights of Jewish refugees from Arab countries and devoted his energies to using his contacts to call for the preservation of Iraq's Jewish cultural heritage, deploring, for instance, the transformation of Ezekiel's shrine into a mosque. Although it was a project conceived by Europeans and for European Jews, they lacked sufficient numbers to build a population large enough to conquer the indigenous Palestinian population. Thus, recruitment of Jews from the surrounding Arab world was a necessary inconvenience. 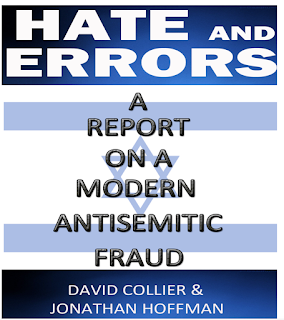 They did so through propaganda and by creating false flag terror incidents (bombing of synagogues or Jewish centres) in order provoke an exodus of Arab Jews. A prime example of this happened in Iraq where the oldest Jewish community in the world had lived for millennia as contributing members of Iraqi society, and who prospered, contributed to the arts and the economy, and participated in government. But these Jews were not embraced as brethren by European Zionists. Zionism was decidedly colonial, and that meant that Jews of the Arab world were seen as incomplete, barbaric, dirty, uncivilised. Za'ev Jabotinsky, one of the forefathers of Zionism said, "We Jews have nothing in common with what is called the Orient, thank God. To the extent that our uneducated masses [Arab Jews] have ancient spiritual traditions and laws that call the Orient, they must be weaned away from them, and this is in fact what we are doing in every decent school, what life itself is doing with great success. We are going in Palestine, first for our national convenience, [second] to sweep out thoroughly all traces of Oriental soul. 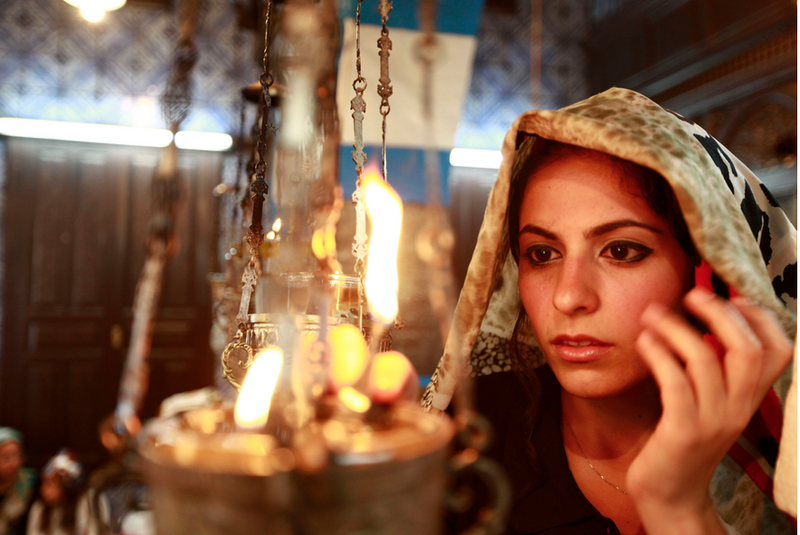 Before Israel, Jews of Iraq identified as Iraqi, as Egyptian, and of Palestine as Palestinian. They spoke Arabic, ate the same foods as their Christian and Muslim compatriots, celebrated and partook in the same national events and traditions, lived by the same social protocols, and moved through their respective cultures as other natives did. And despite the similarities of their cultures, Tunisians were distinct from Egyptians, who were both distinct from Iraqis, who were distinct from Moroccans, etc. But Israel collapsed them all under a single identity, which was to be distinguished only from Ashkenazis, European Jews, who were higher up on the social order, and, of course, from non-Jewish Palestinians and Arabs, who were to be despised. The level of their resulting self-hate can be measured in the heightened cruelty they practise against Palestinians. Wishing all readers of Point of No Return Shana tova - Tisku leshanim rabot! The Jewish people celebrate Rosh Hashana (pronounced Rosh Ashana among Sepharadim) every year starting the evening of the first day of the Hebrew month of Tishri. The Jewish New Year is celebrated in synagogues by hearing the shofar (ram’s horn) blasts and at home with a festive meal featuring symbolic foods, like apples dipped in honey for a sweet new year. 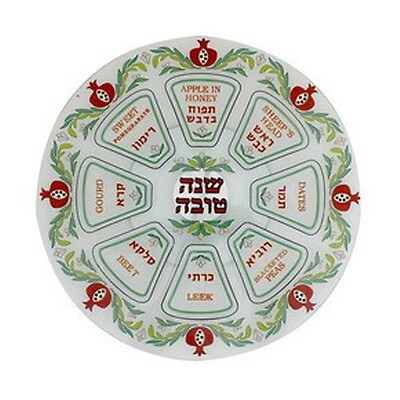 It is not entirely clear where the custom of the yehi ratzones originates, but food symbolism dates back to Talmudic times. In addition to the yehi ratzones, instead of dipping their bread in salt as is customary throughout the year, Jews dip their bread in honey or sugar on Rosh Ashana. In Rhodes, that sugar was kept throughout the year for various folk remedies. In her memoir I Remember Rhodes, Rebecca Amato Levy relates another interesting custom followed by this community in which they avoided wearing anything new on their feet including shoes, stockings, and slippers on Rosh Ashana. Sepharadim greet each other with the Ladino expression Anyada Buena, Dulse i Alegre (“May you have a good, sweet and happy New Year”) or a Hebrew greeting, Tizku leshanim rabot (“May you merit many years”), to which one answers, Tizkeh vetihyeh ve-ta’arich yamim (“May you merit and live and increase your days”). 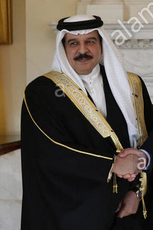 LOS ANGELES – Bahrain’s King Hamad bin Isa al Khalifa has denounced the Arab boycott of Israel and said his subjects are free to visit the Jewish state. The statement by the head of the Persian Gulf country, which does not have diplomatic relations with Israel, was revealed at a multi-national event last week in Los Angeles, hosted by the city's Simon Wiesenthal Center. At the event, Rabbis Marvin Hier and Abraham Cooper, who head the Wiesenthal Center, revealed the king's pronouncements made to them during their visit to Manama, Bahrain's capital city, in early 2017. A walk through the city, at that time was an eye-opener, Cooper said. There was a church, with a huge cross, next to a Hindu temple, and 90 meters on an impressive mosque. Even a small synagogue, the only one in the Persian Gulf region, still stands in an older part of the city. When Hier and Cooper met with King Hamad, they also discussed the ruler’s plan to establish a Museum of Religious Tolerance in the capital city by the end of this year. At the Los Angeles event last week, delegations of Buddhists in saffron robes, Sikhs in turbans, and Muslims with keffiyehs and hijabs [Muslim head-covers for men and veils for women], mingled with Jews with kippot [skullcaps] and Christians in business suits. In May 2013, American forces in Baghdad discovered an archive of thousands of photos, documents and books pertaining to Iraqi Jewry in a basement of the Iraqi security services' building. The archive comprised dozens of boxes, most of which had become mildewed after getting wet in the waterlogged basement. The collection included many rare books and papers, including 500-year-old volumes of Torah commentary. To save the archive, the U.S. military secured the permission of the Iraqi government to send the boxes to the National Archives in Washington, where, bit by bit, workers managed to restore most of the documents. Before removing the documents, the American government agreed to the Iraqis' stipulation that the documents be returned once they were restored. 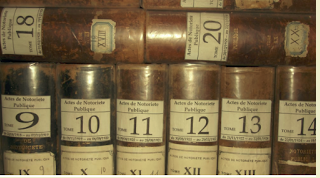 As part of the restoration process, the National Archives digitized the collection. Congressional representatives and the American administration faced heavy pressure, mainly from Jewish groups, not to return the archive to Iraq, but last week, a final decision was taken to hand the collection back to Iraq about a year from now. This decision is both absurd and pathetic, like giving a thief back what he stole. The question being asked in Jewish circles is whether the U.S. is trying to make up for invading Iraq and its failure to find chemical weapons there. Why should the U.S. return the collection to a place that is no longer home to Jews? Returning the archive to the Iraqis is like returning the belongings of European Jews to the Nazis; it's stolen Jewish property. Even though the Jews of Iraq lived in Babylon before the advent of Islam and before the Prophet Muhammad came along, there are no Jews there today. More than 150,000 Iraqi Jews left the country over the course of the 20th century, some motivated by Zionism, and others by fear for their lives. Iraq didn't know how to protect its Jews, and as early as 1941, hundreds of Iraqis were slaughtering Jews in the Farhud (pogrom). Today, Iraq is a failed nation and will soon be divided into three countries: a Kurdish state, a Sunni state and a Shiite state. We all witnessed the Islamic State group destroying Iraq's antiquities, demolishing museums and wrecking churches, synagogues and even the graves of holy figures. The cowardly Iraqi army didn't dare take on the 1,500 Islamic State fighters, opting to give in and surrender its weapons. If the heroic Peshmerga fighters hadn't stepped in, Islamic State would have conquered all of Iraq. Therefore, it is upon the Israeli government to pressure the Trump administration to ensure that the archive of Iraqi Jewry isn't returned to Iraq. It isn't a question of heritage; it's a question of historic justice. By January 1948 he was assigned to fly across the northern Pacific. Just a few months later he and his crew received a cablegram from Alaskan Airlines president James Wooten. “We were told to go to Aden but to leave the stewardesses behind,” Long said. Soon after arriving in Aden they learned their mission: airlift a couple of thousand refugees to Israel. 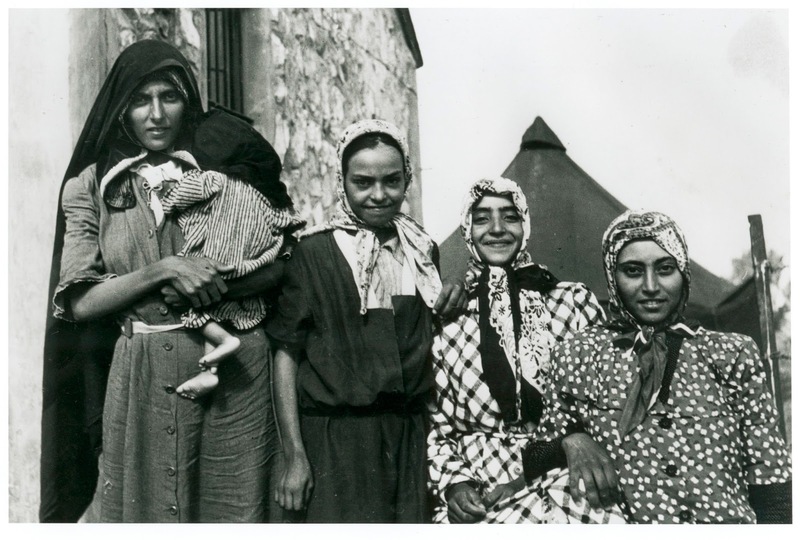 In the years leading up to and immediately following the UN Declaration establishing the State of Israel, life for Yemenite Jews had deteriorated. “‘They’re sick and we don’t have the people to take care of them. They are hungry, but we don’t have food to feed them. They need clothes, but we have none to give them. We can’t protect them; we don’t have the people to protect them. They are fair game for the local Arabs. The pogrom had been going on; over 80 have been killed already. Get them out of here as quickly as you can,’” Long recalled being told. Long’s plane didn’t have enough seats for everyone on board. And so at the mechanic’s suggestion they removed all the seats and made space for 150 people. “No one was thinking about seat belts. 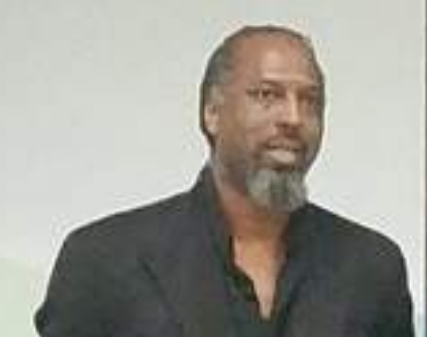 We were just thinking about getting everyone out, as many as we could at a time,” Long said. It was one thing to fly through anti-aircraft fire, through chaff, or over Japanese controlled territory. But none of that prepared him for what he saw on the tarmac in Aden. “They had no luggage. Most of them didn’t even have shoes. They walked from wherever they lived to get there [the base]. They walked barefoot through the desert to get here. Some came from Sana’a,  miles away,” Long said. They stood before the plane. Their hesitation and trepidation palpable. There were no stairs leading into the plane. Only a ladder. And so they climbed aboard one by one; passing up babies and small children. And off they went, flying a carefully plotted course up the middle of the Red Sea, the Gulf of Aqaba, over Eilat, then Beersheba and finally to Tel Aviv. No flight plan was filed. Only the British, Americans and Israelis knew where they came from and where they were going. The work days were 16 to 20 hours long. After unloading passengers in Tel Aviv the crew usually flew on to Cyprus to spend the night. Alaska Airlines couldn’t keep the planes on the ground in Israel because of bombing raids by the neighboring Arab countries. The exodus of Jews from Egypt in 1956 and the celebration of their food and culture was the topic of a conference held in Parma, Italy last week. It was attended by many interested non-Jews. The conference took place at the beautiful 'Casa della Musica' in Parma, Italy, on 10 September, in the framework of "The European Day of Jewish Culture", with its principal theme the 'Expulsion of Jews from Egypt'. It began with a long and interesting lecture about the fate and tragedy of Jews under Nasser 's regime by Professoressa Marcella Emiliani, writer and historian specialising in Middle East themes. But the 'main course' served up was Carolina Delburgo's presentation of her book 'Come ladri nella Notte - la Cacciata dell'Egitto' (Like thieves in the night - the Expulsion from Egypt). 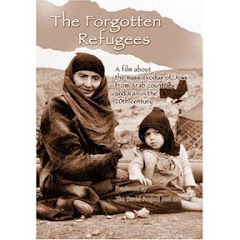 As Prof. Emiliani said, Delburgo wrote her book based on the memories of an 11- year-old child, without any trace of politics - just the truth about the expulsion as she went through it, when Egyptian officers came to her house on that day, November 28th 1956. As her father was taken away to be detained in prison, the Egyptian Authorities came to her mother ordering her to pack just one bag and twenty pounds for each one of them, declaring that the bus would come at midnight to take them to Alexandria to board a ship out of Egypt. She recalled being on a bus full only of women and children, the Egyptian officers confiscating all gold jewellery including wedding rings. All were pushed into the Achyleos, full of expelled Jews with their families, where she found her father, in handcuffs until the boat had left Egyptian waters. 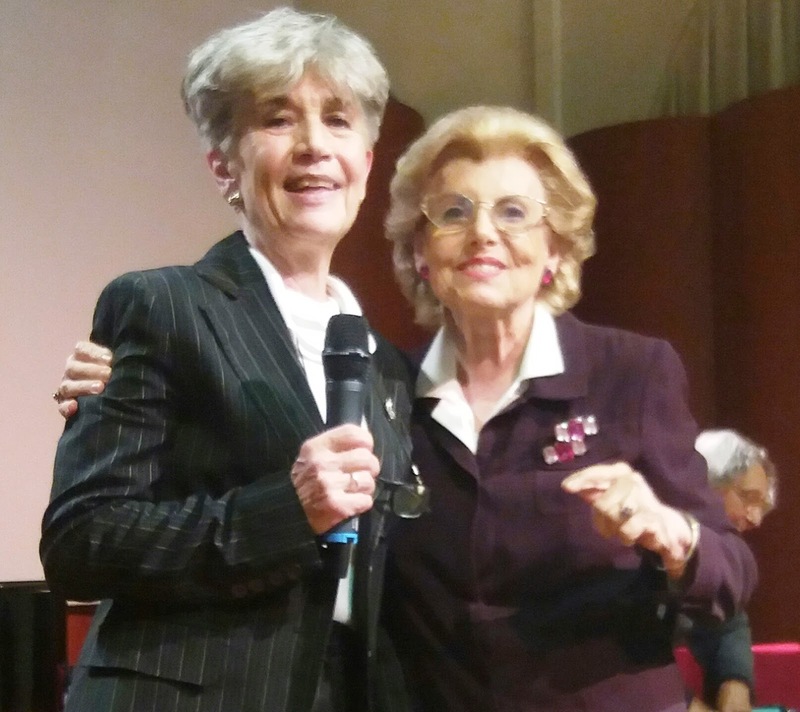 Carolina Delburgo recalled the refugee camp at Brindisi in Italy - she revisited it 50 years later - the desarray of her parents, her aunt, her cousin and brother. The large audience was captivated and wanted to hear more, but had then to go to another hall to taste the Jewish delicacies offered by the community of Parma. Attending this important conference on the mass expulsion in November 1956 of Jews from Egypt were Victor Maggiar, president of the Jewish community of Italy, who came especially from Rome and Levana Zamir, president of the Jews from Egypt in Israel, also representing the Coalition of Organisations of Jews from Arab Countries. From Milan came Marlyse Mosseri-Saporta, who was expelled from Cairo beginning in 1957. There were some 300 residents from Parma - many of them interested non-Jews - and many others. This academic and instructive conference ended with a brilliant recital by Maestro Joshua Moretti, accompanied by videoclips. The concert music was especially composed for the occasion. 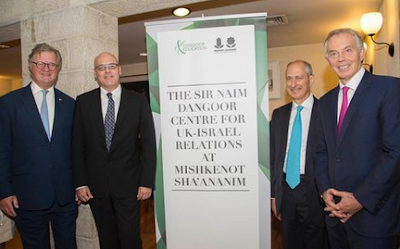 “Mishkenot Hashaananim was set up by Sir Moses Montefiore — again, an example of the Britain-Israel connection”, Mr Dangoor pointed out. “I’m conscious of the fact that it was here [in the UK] where a lot of BDS activities started. There are many streams in the UK — some of them not fully understanding Israel, and therefore being quite inimical to Israel. “So I feel we’re well placed to try and do our little bit towards remedying that, and also to help Britain strengthen its current friendships outside the EU. Clearly we all know Brexit is going to change things, and the message from Theresa May and the government very much is ‘we need to strengthen our good relations, especially with those countries which have excellent business technology and science’ — and Israel is a top candidate in that. Mr Dangoor intends to set up a healthcare tech-hub, similar to the business hub which already exists between the two countries. “The wonderful NHS is, as a lot of areas of medicine are, a very conservative body. What Israel has — partly because it’s a younger nation — is a wonderful health care service, which in many fields matches or exceeds what we get here in the UK,” he said. “And I think therefore that we need to encourage practitioners in Israel to offer to the NHS some of the benefits they can. It’s a little known fact that over 20 per cent of the medicines that the NHS uses come from Teva, an Israeli company, and it’s rising, heading towards 25 per cent. The Jewish Hubara family owned the house but were expelled early in the 1948 War of Independence. The properties were impounded by the Jordanian Custodian for Absentee Property who rented them to local Arabs. When the Israelis recaptured and annexed East Jerusalem in 1967, it became possible for the former Jewish owners to apply for compensation or restitution. Legal cases have dragged on for years, however, because the Israeli courts have protected the Arab tenants’ rights. Only if the residents do not pay rent has judgment gone against them. The courts have been known not to enforce an eviction order against Arab squatters with no other home to go to. Few media mention the expulsion of 1948. The Jewish claimants, they say, want to "Judaise" Jerusalem – "to throw out the Arabs and expand Jewish settlement". Fewer still have reported that the Shamasnehs did not pay rent. Reports also allege a double standard, that the law allows Jews to reclaim their property but no such law exists for Palestinians. While restitution is rare, anyone can claim compensation for property lost within the Green Line. In 1993, 14,692 Arabs claimed compensation under Israel’s Absentee Property Law. In 2016 Gulf News Palestine reported on a campaign to prevent increasing numbers of landowners from accepting compensation for property inside the Green Line because it jeopardised the Palestinian "Right of Return". The real double standard is that the media never find dispossessed Jews worthy of coverage. No Israelis driven from their homes can initiate court proceedings in Arab lands, let alone obtain compensation. As for the current Iraqi government that the State Department wishes to support by implementing its 2014 agreement, it is an Iranian satrapy. Its leadership and military receive operational orders from Iran. 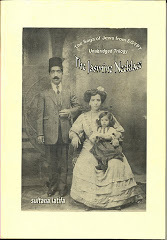 The Iraqi Jewish archive was not created by the Iraqi government. It is comprised of property looted from persecuted and fleeing Jews. In light of this, it ought to be clear to the State Department that the Iraqi government’s claim to ownership is no stronger than the German government’s claim to ownership of looted Jewish property seized by the Nazis would be. On the other hand, members of the former Jewish community and their descendants have an incontrovertible claim to them. And they have made this claim, repeatedly. To no avail. As far as the State Department is concerned, they have no claim to sacred books and documents illegally seized from them. It is hard not to be taken aback by the callousness of Rodriguez’s statement. Again, the “members of the public” who wish to “enjoy” the archive are not living in Iraq. They are not living in Iraq because they were forced to run for their lives – after surrendering their communal archives to their persecutors. And still today, as Jews, they will be unable to visit the archives in Iraq without risking their lives because today, at a minimum, the Iraqi regime kowtows to forces that openly seek the annihilation of the Jewish People. And the State Department knows this. “This odious act is proof, if we needed any, that the Jews of France are especially threatened in the street, and even more disturbingly, within their very homes,” CRIF President Francis Kalifat said. “After the atrocious murder of Sarah Halimi in her home, this new attack must bring the authorities in our country to a heightened vigilance and deterrence-inducing steps,” he added. When is an expulsion not an expulsion? The Jewish-owned Cicurel department store was burnt by rioters in 1952. I was recently pleased to learn that the Education Ministry has decided, as part of efforts to redress a historical injustice, to inaugurate a new curriculum to include 12 “essential concepts” on Jewish communities from the Islamic world and further afield. The curriculum implements the advice of a committee convened last year at the request of Education Minister Naftali Bennett and headed by poet Erez Biton. The panel was tasked with crafting recommendations on heightening the school curriculum’s attention to the heritage of Sephardi and Eastern Jewish communities. 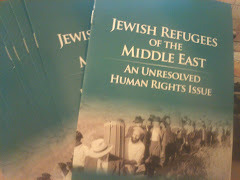 The concepts include general (even too general) attention to lots of things, for example: Persian and Ethiopian Jewry, leading figures including the late Sephardi Chief Rabbi Ovadia Yosef, the 17th century Yemenite poet Rabbi Shalom Shabazi, underground Zionist activity in Iraq, disasters including the forced conversion of Persian Jews in the city of Mashhad, the 19th-century Damascus blood libel, the death of North African Jews in the Holocaust and the expulsion of Egyptian Jewry. If the approach can be summed up, it’s that the Jews in Muslim countries tended to matters in their own communities, wrote in Hebrew or Judeo-Arabic, engaged in Zionist activity – and in their spare time were persecuted. There’s no attention to Jewish involvement in national or communist politics, literature in the local language or European languages, the establishment of the Iraqi broadcast-authority orchestra, the involvement of Jews in the Egyptian film industry, or the Jewish involvement in the war in Algeria. Not that all these had to be the basis for an “essential concept,” but at least one of them could have been highlighted. n the shoulders of an Iraqi Jew, wailing together that the shtetl is burning. But is it possible in the same context to include “the expulsion of Egyptian Jewry”? After all, not only did this not influence the lives of Jews outside Egypt. It’s doubtful it can be viewed as an event that affected the whole of the Egyptian Jewish community. 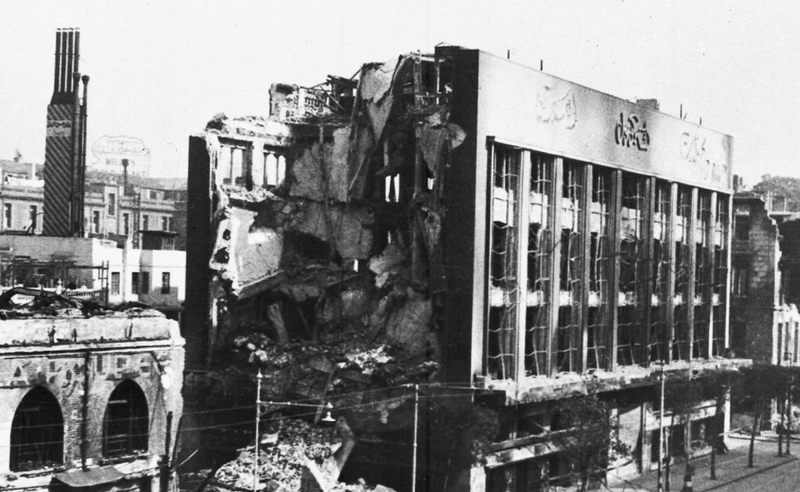 In addition, like the 1952 Cairo riots known as the Cairo fire, it’s difficult to state that it was a clearly anti-Jewish event. I can already sense the ire of Egyptian Jews as I type these lines. After all, how is it that “one of our own” would deny the tragedy of the expulsion and play down the trauma of so many people? Even in Egypt they’re acknowledging the expulsion, expressing remorse and even making documentaries and writing investigative pieces on the subject. So in my defense, let me make things clear. Jews were indeed expelled from Egypt. As far back as May 1948, when Israel declared its independence, Jews suspected of Zionist or communist activity were put in detention camps. Some of the detainees managed to gain their freedom in the first few months, but those who remained in custody until July 1949 were expelled. But when it comes to the expulsion of Egyptian Jewry, I haven’t found even a single basic study, though I admit that, since I’m not a historian, it’s entirely possible I’ve missed one. And in all the studies I’m aware of about Egyptian Jewry, the expulsion doesn’t even get an entire chapter. The expulsion is noted in passing at the end of a book by Gudrun Krämer on the Jewish community in Egypt between 1914 and 1952, as a topic beyond the study’s purview. In the book “The Dispersion of Egyptian Jewry,” Joel Beinin devotes just a few paragraphs to the topic, as do books by Shimon Shamir, Ruth Kimchi, Najat Abdulhaq and others. In “The Jews of Egypt, 1920-1970,” the historian Michael Laskier writes that from November 1956 to 1958, between 23,000 and 25,000 Jews left the country. Laskier doesn’t claim that all of them were expelled, but let’s take a worst-case scenario. Even if 25,000 were expelled, of the 60,000 Jews that were in Egypt after the first wave of aliyah following the establishment of Israel, that would leave 35,000 not expelled. If it was clear policy to expel Jews, why not expel them all? In a new Hebrew-language book “The Five Long Minutes: The Jews of Egypt, 1967-1970, the Arrests and Uprooting,” Cairo-born Ovadia Yerushalmi writes about the conditions in which Egypt’s Jews lived during the Six-Day War and the detention without trial of Jewish males, including himself. There is so much in this paragraph. 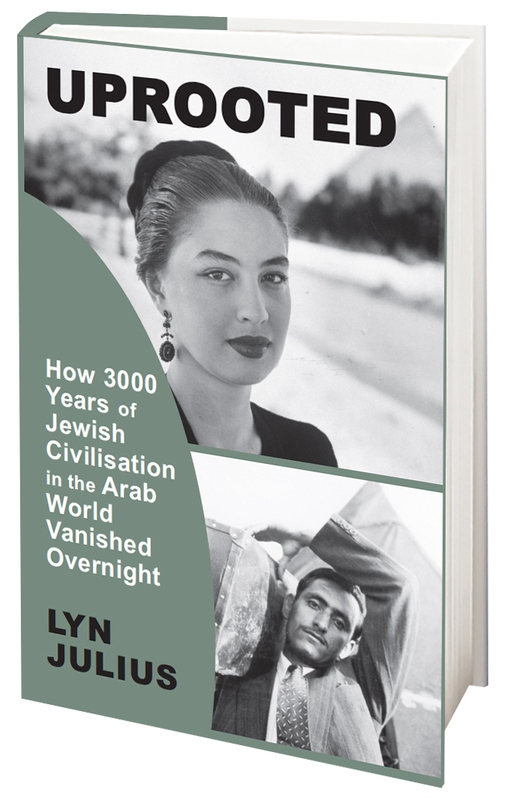 First, we learn from the book’s title that even in the late ‘60s, there was still a Jewish community in Egypt – tiny, but not expelled. Second, we learn that many of the Jews arrested in 1956 were expelled, but not all of them or even a majority. Third, there were Jews with British or French citizenship. Fourth, there were young people who not only weren’t expelled but had to stay. They would leave when it suited them. Many Jews of Egyptian origin won’t be pleased to read this, to put it mildly. Over the years, all they wanted was recognition of the trauma of expulsion. Like me, they've sought their personal story in the collective narrative, but as I see it, they’ve erred in describing their experience using terminology from others’ experience. So, for example, they’ve referred to the detention camps as concentration camps and have spoken of their experiences as “the Nakba of Jews from Arab countries,” using the Arabic word that refers to the events during Israel’s War of Independence when Palestinians fled or were expelled from the country. In a 1990 book about the Egyptian Jewish community, there’s even an incident called the Night of the Cinemas; it refers to the day Israel declared independence, May 14, 1948. The book describes the killing of hundreds of young Egyptian Jews on that day, but such an event never took place. “Last night was a second Kristallnacht, this time not in Berlin but in the heart of serene Cairo!” the story’s female protagonist tells a Holocaust survivor. After all, what’s the story of Jews from Arab countries if it can’t be compared to the catastrophe of our brothers in Europe? With all the cynicism in what I’m saying, there’s nothing in the above description that justifies the arrests and act of expulsion, and I certainly don’t play down the trauma that expellees from Egypt underwent. In my own family, some were expelled and much of their property was nationalized. But I’d like to hear these accounts in the Egyptian Jews’ own words, without the terminology used by Jews from Europe, or by Palestinians. Writing history and teaching both carry responsibilities that go beyond emotional identification. If that’s the broader context in which school students will be learning about the “Expulsion of Jews from Egypt,” so be it. But if you teach it in a way that isolates the Jewish case from its general context, and again show them that in every generation some rise up to consume us and the Holy One in Zion is the one who saves us, don’t bother. Let’s leave matters with the pogroms in Odessa and Kishinev, or just move on to the next tragedy. My comment: It is casuistry to say that only 25, 000 Egyptian Jews were actually expelled out of 80,000. Throughout the 1960s, Egyptian Jews were given no choice: if they left the country, they could not return. The fact that a tiny community remained does not negate 'constructive dismissal'. (Several thousand Algerian and Iraqi Jews also remained after the mass Jewish exodus). While there was generalised xenophobia in Egypt, it is not correct to say that other communities, not just Jews, were expelled. 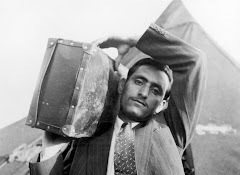 Those of Italian and Greek nationality were not expelled after Suez; only if they were Jews were they issued with laissez-passers stamped 'One way - no return'. And Egypt failed to honour its obligations to its native minorities when thousands of stateless and Egyptian Jews were also driven out. Naturally, though, non-Jewish Greeks, Italians, Armenians and Lebanese also felt unwanted and left. It is not correct to say that Jews outside Egypt were left unscarred by the expulsion - many died soon afterwards and some never recovered from the shock. While they should never be exaggerated, persecution and pogroms should not define Jews from the Europe of Mendelssohn, of Rosa Luxemburg, Marx and Kafka. Some members have Jewish fathers who converted to Islam to avoid expulsion under Gamal Abdel Nasser, Egypt’s former dictator, an aggressive Arab nationalist. Others married Jews. Most simply want to preserve Egypt’s pluralist past. “We’re reopening a page of history that was deleted from our textbooks,” says Amir Ramsis, who directed a documentary about Jews in Egypt. 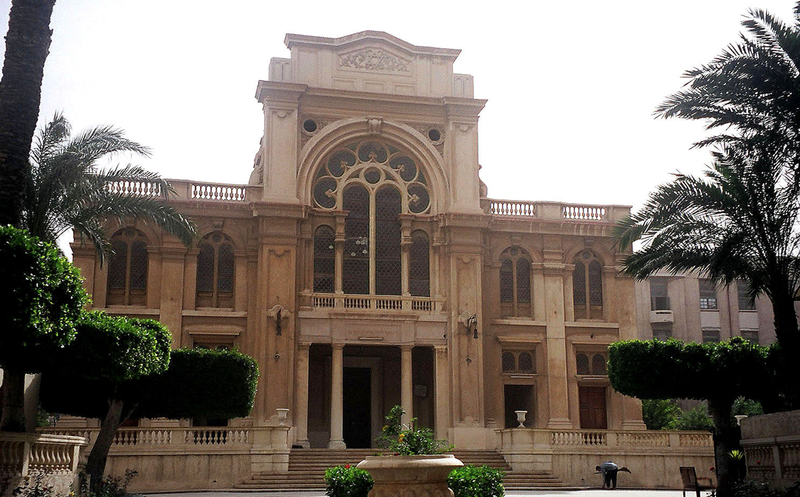 There are 12 synagogues left in Cairo. Many are in poor shape. The group is based in one of them, called Sha’ar Hashamayim (Gate of Heaven), and it plans to turn others into cultural centres. Members talk hopefully of a “renaissance”. Twice a week they will gather to learn Hebrew so that they can catalogue the 20,000 books in the basement of Sha’ar Hashamayim. They want to create an exhibition of Egypt’s Jewish history in the synagogue and to protect other sites, such as the Jewish cemetery in Cairo. Some do not share the group’s enthusiasm. Egypt has fought four wars against Israel. Even Jews who worked alongside Egyptians against British colonialism were branded enemies of the state and expelled. Some of those who remain prefer to keep a low profile. American Jewish groups believe Egypt’s Jewish heritage would be better protected outside the country. But since the revolution in 2011, Egypt’s leaders have reached out to local Jews. In 2012 a leader of the then-ruling Muslim Brotherhood broke a taboo by calling on those who were expelled to return. In 2015 state television broadcast “The Jewish Quarter”, a soap opera that depicted Jews in a positive light. Last month the antiquities ministry began work on a $6m project to restore the roof of Alexandria’s synagogue. Some see the moves as an effort to win over Western governments; others say that they are only happening now because there are so few Jews left. But it might also be that after four decades of relative peace with Israel, Egypt is coming to terms with its Jews. 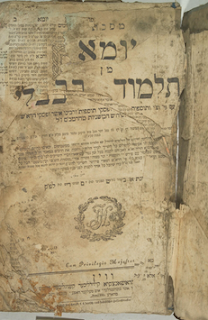 A Tik (Torah case) found in the archive and dating back to the 19th or 20th centuries. 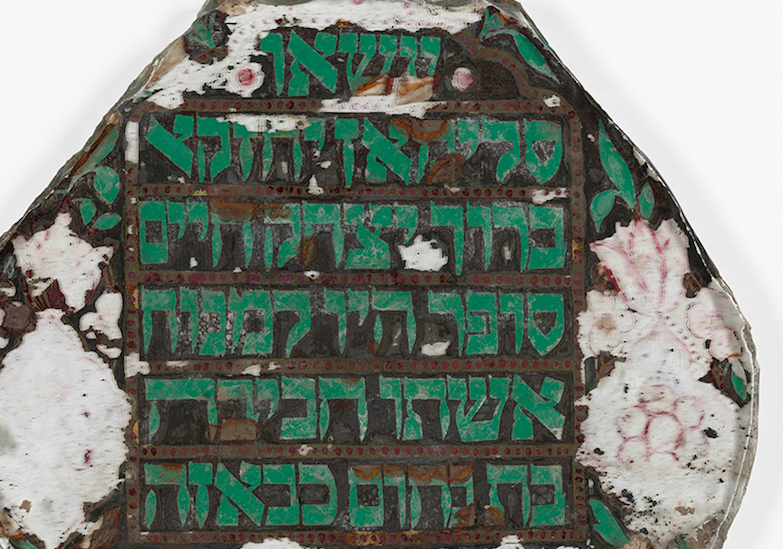 NEW YORK (JTA) — The United States will return to Iraq next year a trove of Iraqi Jewish artifacts that lawmakers and Jewish groups have lobbied to keep in this country, a State Department official said. A four-year extension to keep the Iraqi Jewish Archive in the U.S. is set to expire in September 2018, as is funding for maintaining and transporting the items. The materials will then be sent back to Iraq, spokesman Pablo Rodriguez said in a statement sent to JTA on Thursday. Rodriguez said the State Department “is keenly aware of the interest in the status” of the archive. The archive was brought to America in 2003 after being salvaged by U.S. troops. It contains tens of thousands of items including books, religious texts, photographs and personal documents. Under an agreement with the government of Iraq, the archive was to be sent back there, but in 2014 the Iraqi ambassador to the U.S. said its stay had been extended. He did not say when the archive was to return. Democratic and Republican lawmakers and Jewish groups have lobbied to renegotiate the deal, arguing that the documents should be kept in the U.S. or elsewhere where they are accessible to Iraqi Jews and their descendants. JTA reached out to lawmakers who have sponsored resolutions urging a renegotiation of the archive’s return but did not hear back in time for publication. 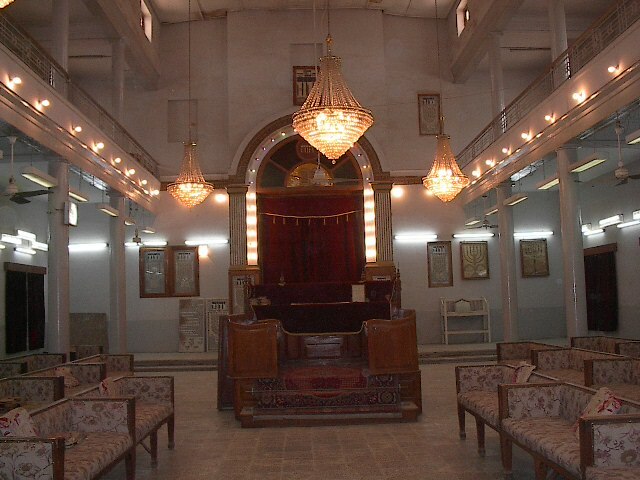 Iraq and proponents of returning the archive say it can serve as an educational tool for Iraqis about the history of Jews there and that it is part of the country’s patrimony. “This is a great project for all Egyptians,” said one engineer, who declined to give his name. “The project should last an entire year. We’ll be restoring the entire building,” said another, identified only as Mohammed. Yet this handful of engineers was the largest group of visitors the neglected synagogue has seen in some time. The move to restore the building, as well as other Jewish sites in Alexandria, comes after months of pressure from Jewish exiles around the world, fearful that the city’s diverse past would otherwise be erased. 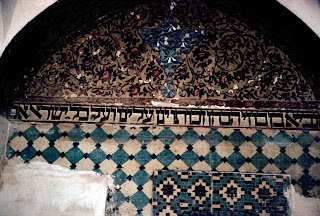 Alec Nacamuli, a member of the Nebi Daniel Association campaigning to protect Egypt’s Jewish heritage, welcomed the move, adding that the organisation has been “more aggressively” pushing for the restoration of Eliyahu Hanavi since the ceiling collapsed because of water damage. Nacamuli, whose grandfather was the president of Cairo’s Jewish community, is now exiled in London from his native Alexandria. “There have been some frustrations,” he said of the efforts to get the Egyptian authorities to heed the needs of Egypt’s Jewish diaspora. Egypt has a poor track record of protecting its religious minorities and their houses of worship, notably the country’s largest religious minority of Coptic Christians, who make up an estimated 10% of the population. Security around Alexandria’s synagogue is so tight partly because of fears after a recent spate of Isis assaults on Coptic Christian churches. A long-awaited law in 2016 clarified the rules around church building and provided some aid to the beleaguered Christian minority, although observers such as Human Rights Watch argued that the state has done little to protect Christian citizens from violent attacks. In a country where religion is marked on each citizens’ identity card, Egypt’s Shia and Bahai minorities also face daily persecution and are prevented from building places of worship. But Egypt’s Jewish past is more fraught with geopolitical sensitivity than other minorities. Once a community of almost 80,000, numbers began to dwindle after the creation of Israel in 1948 sparked conflict between Egypt and its new neighbour. This resulted in increasing pressure on Egypt’s Jewish citizens, including incarceration. About 25,000 Jews were formerly expelled in 1956, after being presented with a one-way travel document to leave and a demand to cede their property to the government. 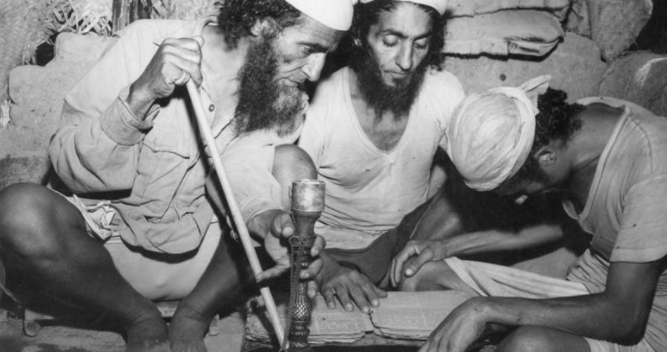 The number of Jews in Egypt is commonly estimated to be fewer than 50. Covert efforts to upgrade the country’s synagogues in 2009 were met with widespread reports in the international press that the true motive was Egypt’s push for then-culture minister, Farouk Hosny, to lead Unesco. 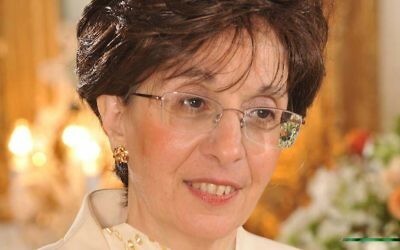 Egypt is once again running to head the United Nations’ cultural and heritage body after nominating former politician and ambassador Moushira Khattab in 2016. But it insists there is no ulterior motive for the restoration. to be head the United Nations’ cultural and heritage body. 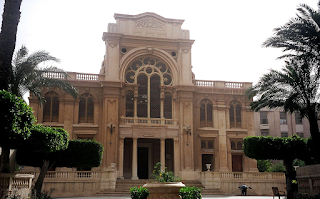 There are two other motives: the restoration of the grandiose Eliyahu Hanavi synagogue will boost tourism (the Ben Ezra synagogue in Cairo is already a popular attraction) ; state funding will legitimise Jewish sites as state property. 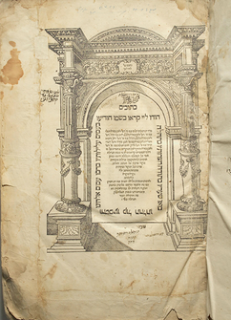 Already, movable heritage, such as communal records and Torah scrolls, have been declared to be Egypt's patrimony, frustrating the long-running campaign by the Nebi Daniel Association to ensure their accessibility to diaspora Jews. Update: dozens of media have published corrections to this story. It turns out that the evicted Arab tenants had not lived in the property prior to 1968. That year is critical given that in order for east Jerusalem Arabs to receive "protected tenant" status, they must be able to demonstrate that they signed a lease prior with Jordanian authorities and inhabited the dwelling prior to August 20, 1968. The eviction of the Arab Shamasneh family from a Jerusalem house in the Shimon Hatzaddik neighbourhood has been all over the press (See here, here and here). The Israelis are being painted as heartless creatures who are throwing elderly Arabs out on the street. But the judgement of the court only went against the Arab tenants when they ceased to pay rent. Another falsehood being spread by the press is that while Jews can reclaim their property, no such law exists enabling Palestinians to reclaim theirs. Not only have there been cases of Palestinians being compensated, but it is impossible for Jews to receive compensation for property they owned in Arab countries. Sixty-nine years ago, the Hubara family, a Jewish family living in the heart of Jerusalem, was expelled from their home in the Shimon Hatzaddik neighborhood by British and Arab forces as the Jordanian army invaded and occupied the city during the early stages of Israel’s War of Independence. The homes in the neighborhood had been purchased by the Sephardic and Ashkenazic communities in 1876. Called ‘Sheikh Jarrah’ by the city’s Arab population, Shimon Hatzaddik was emptied of its Jewish population, who became refugees before any Palestinian Arabs did, and whose homes were then seized by local Arabs. When Israel liberated Shimon Hatzaddik in 1967, the Hubara family found their home was occupied, like so many other Jewish-owned properties in eastern Jerusalem. For the next 38 years, the Hubara family’s home in Shimon Hatzaddik remained in Arab hands, with the family unwilling to endure the lengthy legal battles required to redeem the property. In February 2005, tragedy struck. 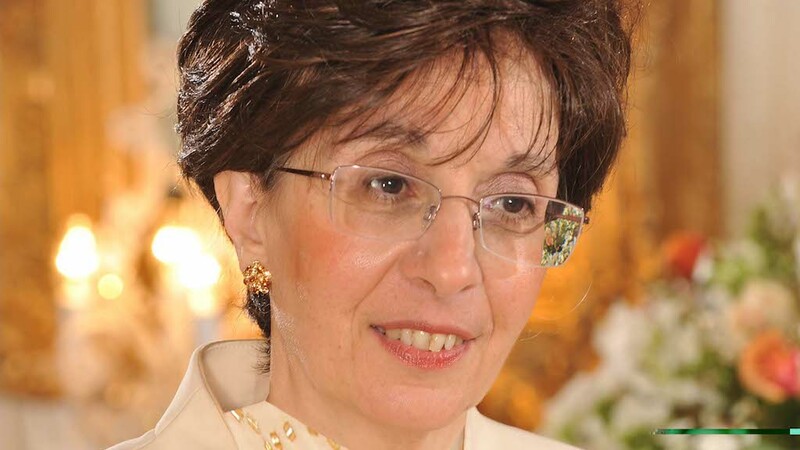 Shimon and Dalia Hubara’s 26-year-old daughter, Odelia, was murdered near a Tel Aviv beachfront in a suicide bombing attack carried out by the Islamic Jihad terror group. Following their daughter’s tragic death, the Hubaras decided to take back what is rightfully theirs, turning to the Israel Land Fund for assistance. 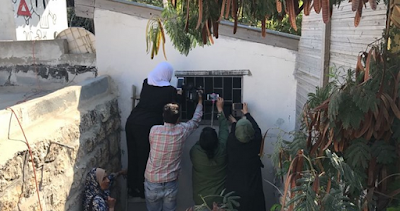 Twelve years later, following a court order against the Arab squatters for their refusal to pay rent or repair damage they had caused to the property, police returned the Hubara home to its legal owners. During Tuesday’s eviction, Arab squatters, aided by far-left activists, protested the eviction and threw cinder blocks at police. Hubara inherited the building, a rather small house in the neighborhood, named in Hebrew Shimon Hatzadik, from her mother, who lived there until 1948. Over 10 years ago the family, who inherited the property, sold their rights to right-wing activist Aryeh King, today a member of the Jerusalem city council. They had wanted to sell the house to a Palestinian family before that, but the Palestinians could not raise the money needed, said Hubara. King said, “I’m not very happy that they threw them out on the street either. But they brought it on themselves. The original eviction date was in March 2015. But the woman who lived there was supposed to give birth and they asked for another three months. I told them take half a year and leave whenever you want in the next half year, but they continued to neglect and ignore it. The elderly parents have no reason whatsoever to remain in the street because their daughter lives right next door, and there is evidence they will receive housing aid from the European Union, said King. Thus victim is turned into perpetrator! He writes that Israel destroyed the Iraqi Jewish community and blocked other countries from helping Jews who wanted to leave Iraq. And he says that the anti-Jewish violence in Iraq was a ‘false flag’ operation. This is a pure fabrication. Iraq destroyed the Iraqi Jewish Community. It began with the Farhud in 1941. The Farhud was the Holocaust-era massacre by Arab nationalists in coordination with the Nazis, which occurred on June 1-2, 1941 in Baghdad, killing hundreds of innocent Jews and brutalising thousands more, and pillaging their property. 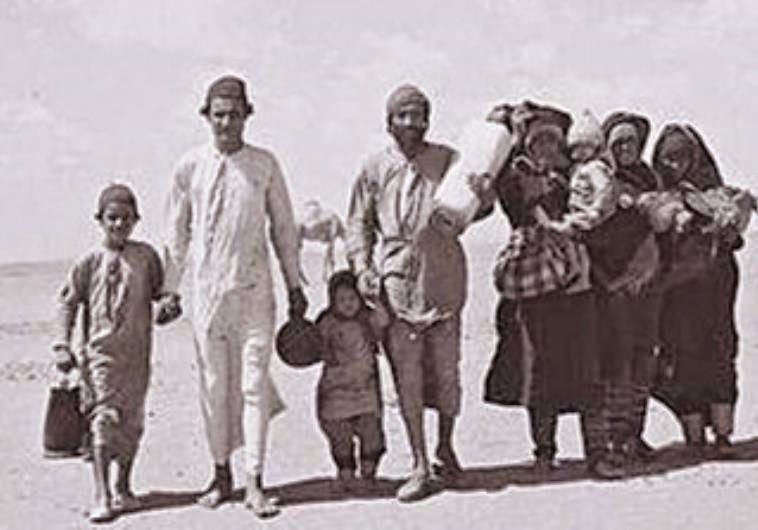 The Farhud was a major step in the process which resulted in the forced exodus of 850,000 to 900,000 Jewish refugees from centuries of peaceful existence in Arab countries. Two Arabs have gone on record to explain the Farhud (Saudi journalist Turki al-Dakhil and Iraqi scholar Rashid al-Khayoun, 1 February 2014). The Jewish Senator Ezra Menahem Daniel appealed after the Farhud against the discriminatory practices introduced in 1948-9. Jews could not work, attend university or travel. Jews were arrested on the slightest pretext. Money was extorted from them to pay for war in Palestine. In March 1950, Jews were given permission to able to leave but were stripped of their nationality. In 1951 the property of departing Jews was frozen by law. When Suarez does mention the Farhud, he goes to extreme lengths not to report it as an act of antisemitic violence. In fact, he absurdly implies it was the British, adducing a 12-year-old (at the time) anti-Zionist Jew (Naeim Giladi) in his support (page 71). This type of rewriting of history highlights how desperate Suarez is to create a one-sided fictional tale that condemns the Jewish Zionists at every juncture and absolves everyone else of everything, including violent massacres of Jews. ‘From our balcony in Acre at the other end of the bay and on other clear days, the mountains of Lebanon covered with a layer of snow all year round’. "Snow, in Lebanon in summer? Visible from Akko? No further comment ………. 1. Israel accepted more than its own population in refugees in the first three or four years of the State. It is proportional to the United Kingdom absorbing 70,000,000 (seventy million) refugees in the next forty months. It is impossible to overstate the strain such an influx imposes upon every facet of society. Nor how it might damage the economy, nor how difficult the absorption process is. No doubt there were refugees who did not settle in Israel. There are entire departments in rich Western nations devoted to assisting the first difficult years of a refugee. It is sickening that Suarez abuses such issues, piggybacking on the suffering of others, to attack Israel. 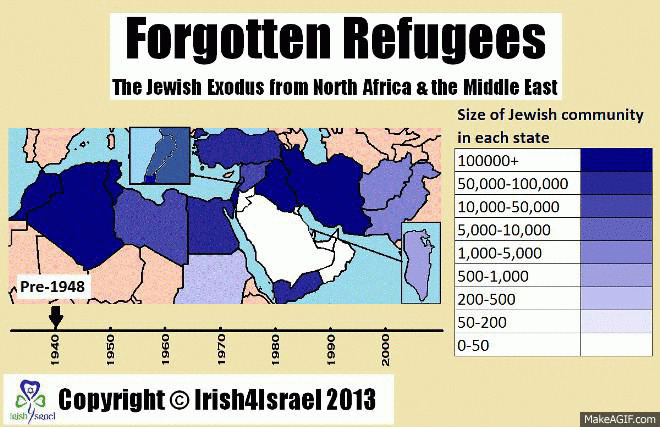 These refugees are often used as weapons by anti-Israel revisionists. It highlights the hypocrisy of self-declared ‘humanitarians’, refusing to allow ‘periods of adjustment’ only when they are focusing on Jewish victims. 2. The denial of citizenship was not an Israeli measure, but rather that of the Arab states who evicted and expelled their Jews. Additionally, Israel permits dual citizenship, so Suarez is blaming Israel for the illiberal and punitive measures of Arab states. 3. The ‘exit tax’, was an economic measure in existence in Israel until the early 1990’s. In the first years of the State, as Israel experienced a major economic crisis (due to conflict and absorbing more than one immigrant per citizen), it also suffered a severe shortage of foreign currency. It set high exit taxes (many nations have some exit or travel tax – leaving Heathrow on a flight to New York can currently cost over £75). Further, in a complete rejection of what Suarez is arguing, ‘permits were relatively easily granted to new immigrants who did not acclimatize well to life in Israel and requested to leave the country permanently’. To describe it as some type of ‘penalty tax’ -created to dissuade potential emigrants based on their nation of origin - is ludicrous. Each sentence in the book can be dissected in this fashion: A pile of distortions, incidents removed from context and fictions, all shaped together to demonise Israel. Returning from this slight digression to the Iraq section, Suarez accessed C0 733/275/4 but failed to mention that it describes anti-Jewish agitations against Iraqi Jews in 1929 and 1933 (letter from Sir F Humphreys to Sir John Simon, 13 December 1934). File FO 371/27861 (not accessed by Suarez) discusses a bomb outrage against a Jewish club in Baghdad in 1938. A letter in August of 1938 speaks of ‘two cases of bomb throwing at Jewish clubs’. A telegram on November 28 discusses an attack on a coffee house that seems to have targeted Jews. These actions were not occurring in a vacuum. In the mid 1930’s, an Iraqi newspaper (al-Alam al-arabi) published daily extracts from Mein Kampf in Arabic. Pro-Nazi movements began to appear and anti-Jewish printed material was handed out by youth groups. This all before the Mufti, Haj Amin al-Husseini arrived in Iraq. FO 371/27099 (not accessed by Suarez) in a telegram on 23 February 1941, discusses an attack by Kurds on a Jewish village three months prior to the Farhud. In 1948 the hanging of the wealthy Jew Shafik Ades shook the Iraqi Jewish community to its core. It is not true (page 283) that in 1950, Israel blocked other countries from helping Jews who wanted to leave Iraq. Near East Air Transport was a partnership between El Al and Alaskan Airlines, but the airlift was a joint venture with senior Iraqi Muslim officials (Iraq Tours) and the charter was negotiated with Iraqi Airways, in which the Iraqi Prime Minister Tawfiq al-Suweidy had an interest. Edwin Black confirms that British Airways and BOAC were also involved. Rozin, Orit Israel and the Right to Travel Abroad, 1948–1961 Israel studies 15.1 (2010), page 147-176.